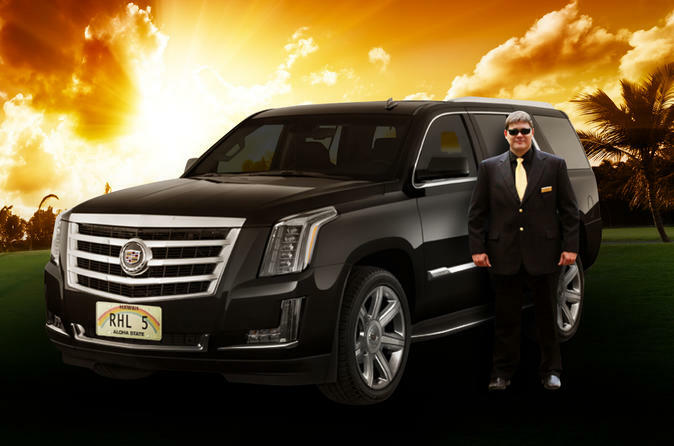 A wonderful private SUV car service from Honolulu international airport to any of the hotels in Waikiki. Your chauffeur will dress in black shirt, vest and pants with a gold tie. All our vehicles are fully insured to the highest level and amount in Aloha State. No charge for bags if we can transfer them safely in our vehicle. A wonderful private SUV car service from Honolulu international airport to any of the hotels in Waikiki. Your chauffeur will dress in black shirt, vest and pants with a gold tie. All of our vehicles are fully insured to the highest level and amount in Aloha State. No charge for bags if we can transfer them safely in our vehicle.